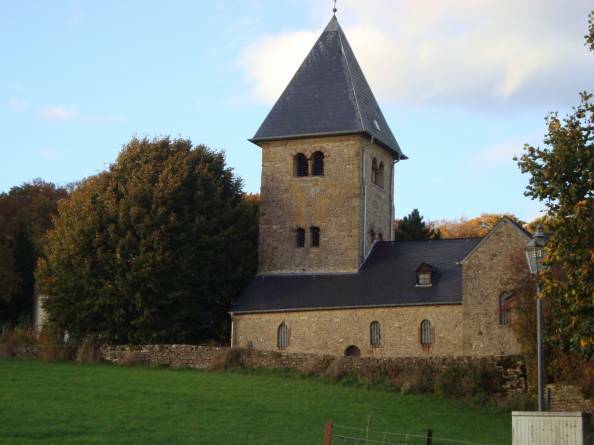 The chapel of Girsterklaus is the oldest pilgrimage site in Luxembourg. 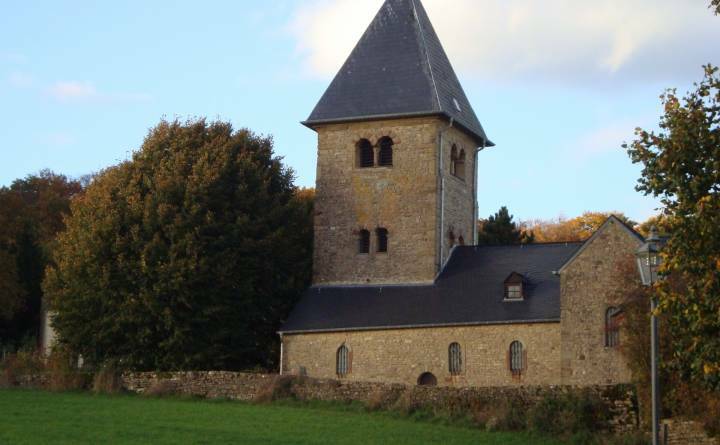 The massive tower could have been an early medieval defense and watchtower. 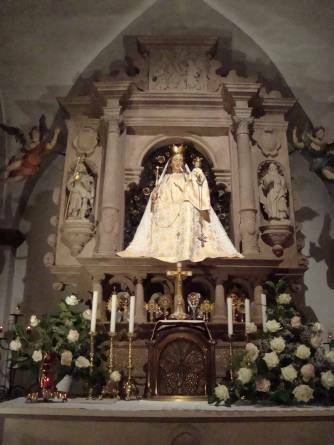 Inside the church, the wooden statue of “Our Lady of the Hazelnut Tree” was created in the 13th century. 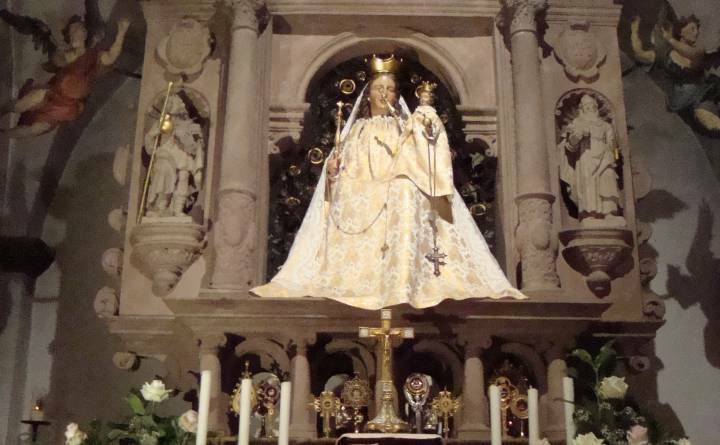 The many Baroque statues go back to the 18th century. 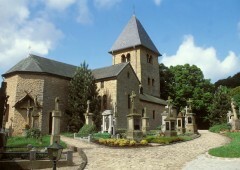 The ancient tombstones and crosses in front of the chapel as well as the lawn where the ashes were scattered give the place a unique atmosphere.